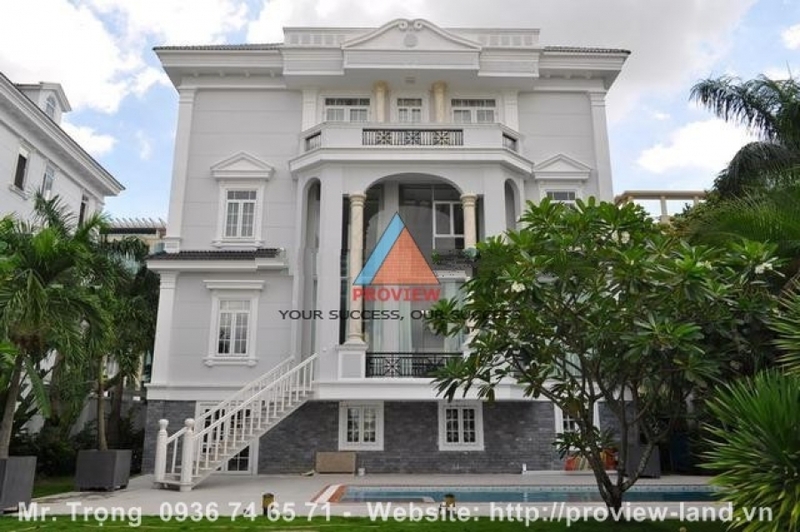 Thao Dien Villa for sale in District 2, Ho Chi Minh City. Villa has an area of 800 sqm including 1 basement, 1 ground, 2 floors, penthouse with 6 bedrooms, office room, swimming pool, garden. All room are designed fully furnished ( luxury interior). Frontage of the villa faces East North. Besides, there are many facilities in Thao Dien such as near international schools, hospitals, restaurants, supermarkets, center GYM, SPA. protection security 24/24 ... Thao Dien villa is the best choice for Vietnamese as well as foreign people who want to live and work in Ho Chi Minh City. Proview Real Estate co., Ltd. Address: No.46 D1 Stresst, Binh Thanh District, Ho Chi Minh City, Viet Nam. Hotline: 0919 462121 Ms Thao for advice and free housing.